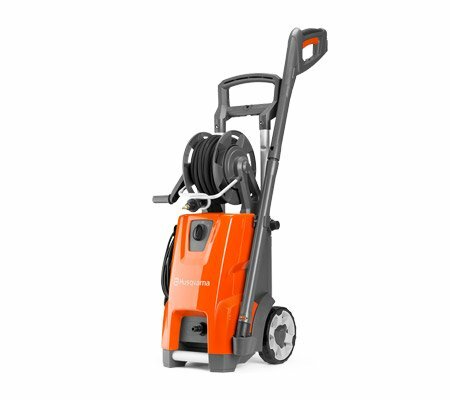 Husqvarna's new range of pressure washers use less water, offer more power. The PW 360 is a high performance and robust machine, perfect for demanding jobs such as vehicles and brickwork. A 10m steel reinforced hose is included. the low force grip activates the trigger with little effort and more comfort. the induction motor and the metal pump ensure a dependable performance and long lifetime of the product. The Husqvarna PW 360 also features an aluminium handle for easy transportation, quick hose coupling, large and robust wheels and a long spray lance. The PW 360 features two swivel functions, for nozzle adjustment and quick connection. Two nozzles and foam sprayer are included.